Bananas Foster was created by Chef Paul at Brennan's in New Orleans in 1951. Chef Paul named this decadent dessert after frequent customer Richard Foster. Bananas are sautéed in brown sugar, butter and cinnamon, doused in rum, flamed table-side and served over vanilla ice cream. 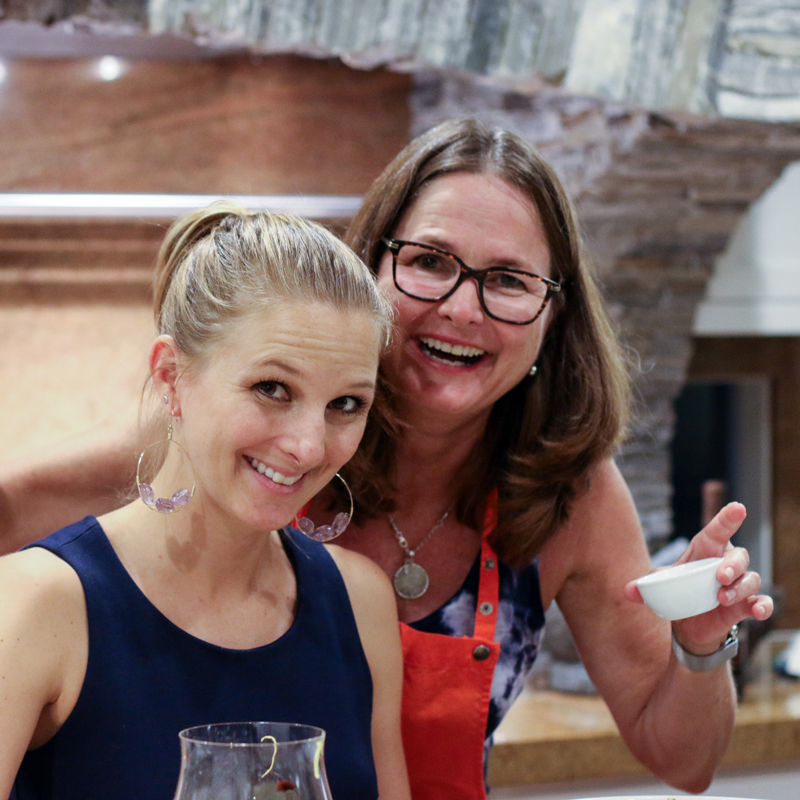 The wonderful thing about panna cotta is it is the perfect blank canvas for repurposing your favorite flavors. 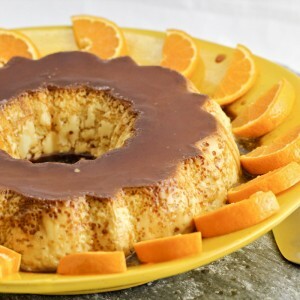 This Bananas Foster reincarnate calls on the caramel-at-the-bottom technique used in flan with a Bananas Foster-esque topping. 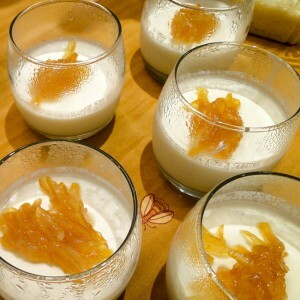 I started with an April 1997 recipe published in Gourmet Magazine for Coconut caramel panna cotta, and modified. I was unsure whether or not the gelatin would set up with the addition of liquor, in this case Myer's rum. You'll be happy to know, it sets up just fine. I guess it shouldn't be a great surprise, as jello shots have never had a problem firming up. 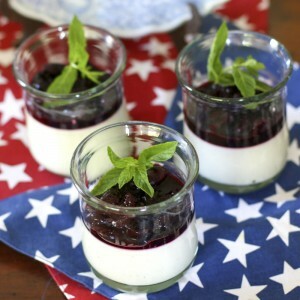 Now the barn door has been opened, look for more boozey panna cotta in your future! Make the panna cotta at least four hours before you plan to serve. Better yet, make it a day or two in advance. Five minutes before you are ready to serve, sauté the bananas in butter and brown sugar. This is a slightly more complicated panna cotta because of the caramel step. If you want to simplify, eliminate the caramel step and you will still have a very fine dessert. When making the caramel, remember the sugar gets VERY hot. Handle carefully because a hot sugar burn is serious. I prefer to use Aroy D coconut milk that comes packaged in milk cartons. I like this product for its clean flavor, coconut-milk only content and the fact that it is packed in BPA-free containers. What ever you do, do not use "light" coconut milk. See my post if you want to learn more about coconut milk. For many panna cottas I skip the unmolding and just serve them in a glass with a bit of topping (See Mario Batali's strawberry panna cotta). 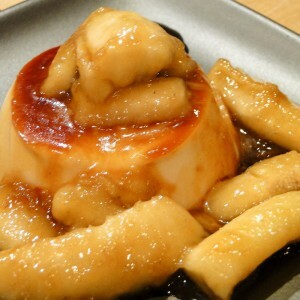 For this panna cotta, however, I recommend chilling the panna cotta in ramekins and unmolding them so you get the flan-like caramel layer on top. Then finish with sautéed bananas. Pour milk into a small bowl and sprinkle gelatin on the top. Set aside for at least 15 minutes until gelatin has softened. In a very clean, dry heavy-bottomed sauce pan cook the sugar over medium low heat, stirring with a clean fork until all the sugar has melted and is a light gold color. Now stop stirring, and instead swirl the pan until the color deepens to golden brown. Making the caramel will take about 12 to 15 minutes from start to finish. 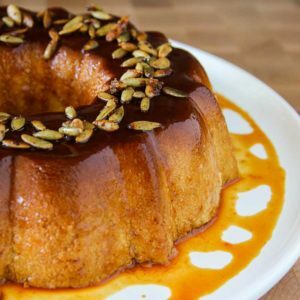 While the caramel is hot, quickly pour into 8 3/4-cup ramekins so that the bottom of each ramekin has a thin coat of caramel. Set aside to cool. Heat coconut milk and coconut cream just to a boil in a heavy-bottomed sauce pan. Remove from heat and stir in softened gelatin until well mixed. Add cream and rum and mix well. Allow mixture to cool to room temperature and pour into the caramel coated ramekins. Cover each ramekin with plastic wrap and chill at least four hours and up to three days. Invert ramekins to unmold. If they do not slip out of the molds easily, dip in hot water for a couple seconds and run a knife around the rim of the mold and try again. Unmold onto individual serving plates. In a skillet, over medium heat, melt butter and stir in brown sugar. When mixture begins to bubble, add banana pieces and stir until heated through and well coated. Remove from heat and top each inverted panna cotta with bananas.